Making Smarter Machines for Smarter Workplaces. KnowledgeStar makes machines ‘smart’ enough to provide just-in-time information to employees about how to operate, maintain and ensure compliance. 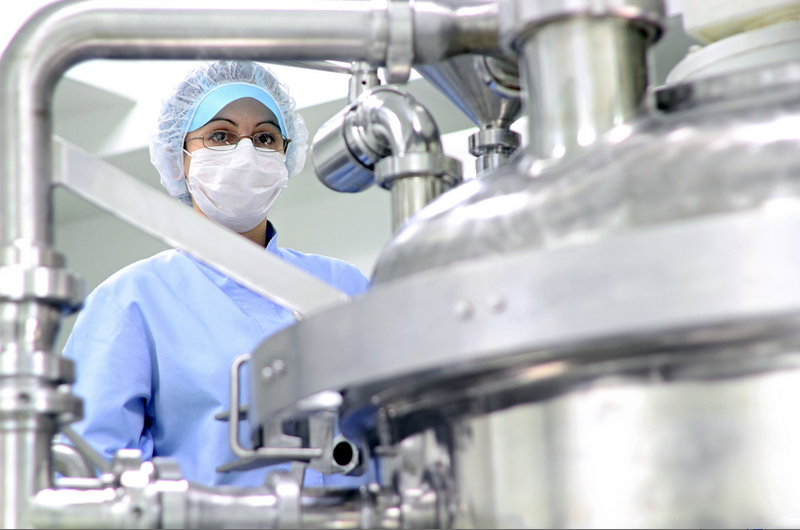 The result is improved safety, more efficient manufacturing processes and higher profit margins. 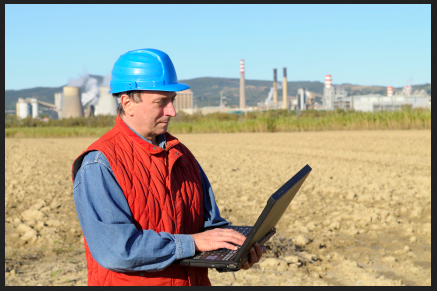 Most industrial and manfuacturing employee errors occur because workers don't have a quick, convenient way to get the information they need to do the job correctly and safely -- at the exact time and place they need it. The KnowledgeStar intellectual property (code for the app) is solely owned by KnowledgeStar, Inc. a "C" corporation registered in Delaware. A U.S. patent applicaton has been submitted and is pending. KnowledgeStar is an existing and viable. It was publicly demo'd over a year ago at DemoFest 2014 in San Diego, where it won in direct competition against industry leaders including Qualcomm (Gimbal), Adobe and On-Point Digital. The KnowledgeStar™ name has been trademarked along with Internet of Smart Things™ and KnowledgeStar Compliant™. KnowledgeStar offers first-moved advantage for beacon-driven training in industrial markets. Currently, beacon technology is almost exclusively used by retail businesses and museum / exhibitions. 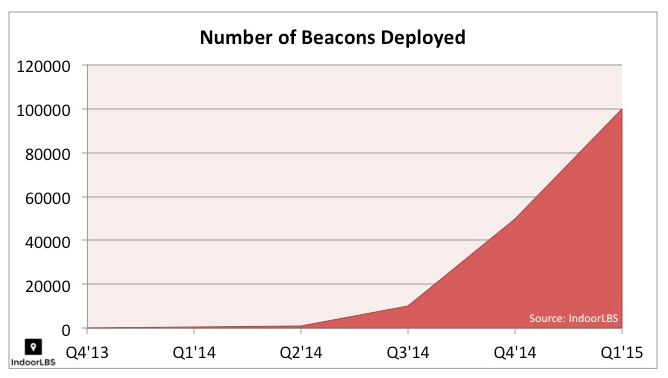 Per beacon stats: How frequently was it access, by whom, etc. ​Mobile devices are very powerful in terms of the types of information they can gather. Up until this point, managers could not determine the relationship between the cost of training and the related degree of change in performance. KowledgeStar provides a clear line between the two points. Content residing on a server - KnowledgeStar pulls existing content the company already has from a server or the cloud. This could be instructions, a schematic or diagram, maps, videoclip, a checklist or regulations from OSHA and any other regulatory body. KnowledgeStar leverages and optimizes the content so it's easy to locate, read and use on any mobile, internet-connected device. 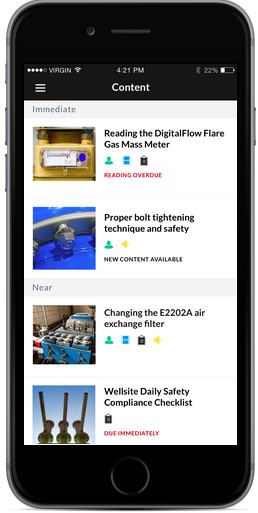 Beacons - When employees who have KnowledgeStar installed on their mobile devices comes within a specified distance of a machine or piece of equipment with a KnowledgeStar beacon, the content that is relevant automatically downloads to the mobile device, and employees receive an alert. Each beacon transmits a unique coded signal, and can be placed on any piece of equipment or machine. Each beacon is coded by KnowledgeStar and KnowledgeStar is compatible with any brand of beacon. Mobile Devices - KnowledgeStar works on any internet-enabled mobile device (phone, pad, tablet or watch) that can receive the beacon signal, and then connect to the server or cloud. Our proprietary KnowledgeStar app reads the signal, and then pulls the appropriate information onto the mobile device. The mobile device can then return information to the server or cloud when needed -- such as a photograph of the job or completed checklist of the work to show evidence of compliance. This will illustrate the basic features and functions of the KnowledgeStar, as it appears on a user's mobile device. The number of screens, content and graphics can all be customized to meet the customer's needs. This shows all key, relevant information the employer wants the employee to be able to access quickly when he or she nears the specific machinery, equipment or site. 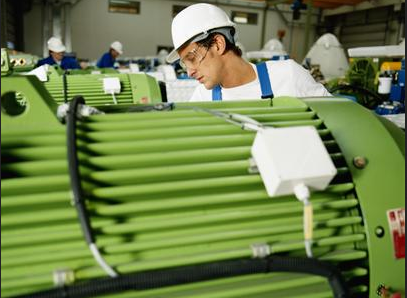 The bottom-line benefits of KnowledgeStar are huge -- both for corporations who want their employees to have KnowledgeStar as on-the-job support, and for manufacturers who want to offer customers the distinct advantages of KnowledgeStar-Compliant machinery or equipment. Training - KnowledgeStar reinforces employee training on-the-job, which research shows causes retention levels to increase by approximately 60% when training is reinforced at intervals. This year alone, U.S. corporations will spend more than $70 billion to train their employees -- but they won't get much for their money, as the chart below shows. KnowledgeStar is "the missing link" that helps convert training into increased on-the-job productivity and safety and compliance. It also provides "big data" that you can use to help you track employee performance and analyze it. 2: Beacon technology is exploding Beacons and IoT are not the "new wave" of technology; they are a tsunami that is going to utterly transform business throughout the world. KnowledgeStar is perfectly positioned to ride it all the way to the bank. In 2014, there were approximately 260 million iOS smartphones and 310 million Android phones in use around the world capable of scanning for nearby beacons. 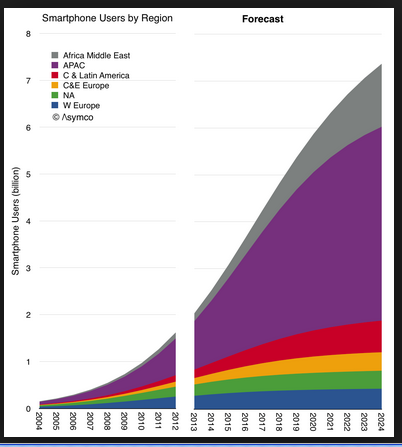 BI Intelligence estimates that by the end of 2015 that number will have surpassed a billion. 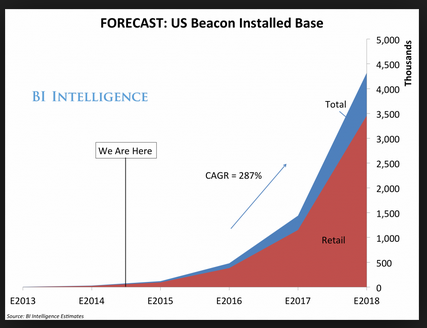 Critical mass is clearly coming now that Google has poured gasoline on the beacone fire with the introducton of its Eddystone beacon, designed to compete with Apple's iBeacon. KnowledgeStar is the only company that has thought of using beacons to provide workers with the information they need to use to maintain machinery and equipment correctly, efficiently and safely. 3: Corporations need to find ways to train employees who can barely read In it's last major study of literacy, the U.S. Dept of Education reported that more than 50% of surveyed manufacturing companies indicated that more than half of their front line workers have serious literacy problems. The American educational system is not successfully addressing this issue. Obviously, real-life, on-the-job implications of this are extremely serious. With KnowledgeStar, companies can support employees on-site with visual aids, videoclips, charts, schematics, maps and content in any language. Most companies now have employees who for whom English is not their native language or for whom it was not the primary language spoken at home. This add another layer to the challenges of training and communicating effectively with employees. KnowledgeStar makes it easy to provide employees with photos, video, charts, diagrams, maps, schematics, checklists. This additional on-the-job support is highly effective in helping employees "get it right the first time." Even better, KnowledgeStar can offer this support in any language. 5: KnowledgeStar is an "Internet of Things" play. KnowledgeStar makes machinery and computers "smart." 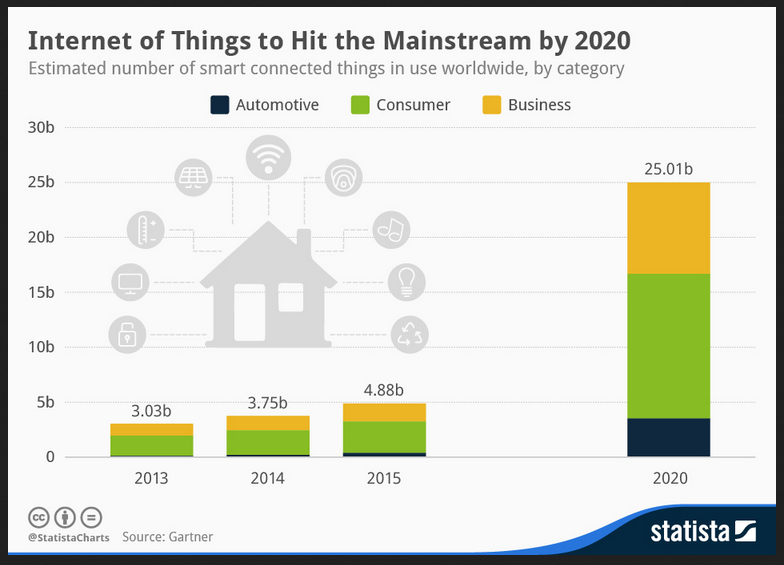 The chart below illustrates research by Gartner predicting that the number of "smart connected things" will grow from 4.88 billion in 2015 to 25.01 billion in -- 5 years. KnowledgeStar makes equipment, machinery -- even a site like a communications tower -- "smart" by connecting beacons, mobile devices and stored content. KnowledgeStar can be used anywhere in the world where an internet connection is available. 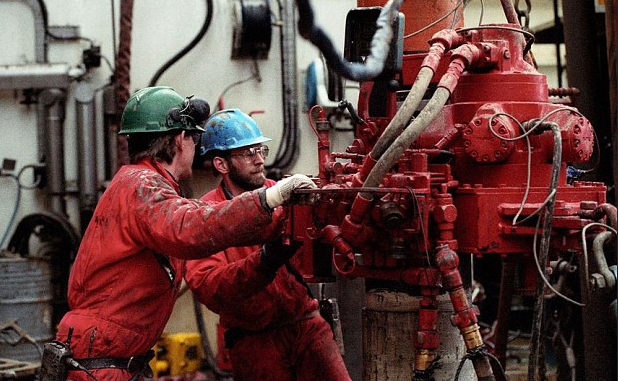 This means industries and workforces across the globe can benefit from on-site on-the-job employee support. 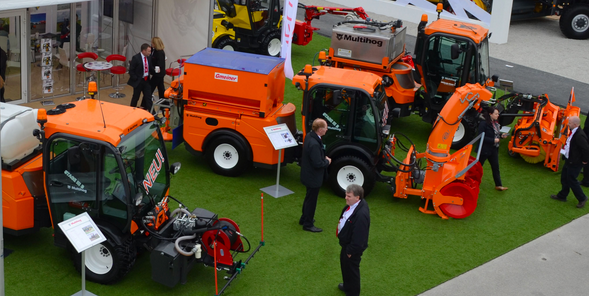 A manufacturer that offers it customers KnowledgeStar will gain a significant competitive advantage. Brand all machinery and equipment that is equipped to use KnowledgeStar with a prominent sticker (similar to the "Intel Inside" sticker) that declares it to be "KnowledgeStar-Compliant"
"BEST OF SHOW" at mLearnCon DemoFest 2014 (San Diego) KnowledgeStar beat out entries from industry giants, including Qualcomm, Adobe, Gimbal, and On-Point Digital. I am a passionate believer in using technology to help people do what training fails to do. Amazed that companies are still using the same approach to helping workers perform their jobs that they used over 100 years ago with the same lack of results. We have spent untold dollars and time disabling the learning process in companies around the world. And we blame the learners. Time for a change. George Sidman is a serial entrepreneur with a 30-year track record in launching and growing successful software and Internet companies. He has prior successful experience as the founder and/or mentor of seven technology start-ups in a variety of fields. He is experienced in private and public offerings, and leading high technology development teams and product-to-market software successes. He served as an advisor to the congressional sub-committee for the development of the Digital Millennium Copyright Act. He has held the Chair position of the Technology Counsel of the Silicon Valley World Internet Center and is on the Advisory Board of the Marina Technology Cluster. Rick Thau is a consultant/mentor/advisor, and investor in early stage information technology companies. He is currently (since 1999) Managing Director of The Thaught Process; a consulting firm providing “C” level executive support and coaching for early stage companies. From 1990 to 1999, Mr. Thau was CEO and a founder of FullTime Software (formerly Qualix Group, Nasdaq: FTSW) the market-leading provider of Reliability and Availability software. Previously, he was CEO of Micro-MRP (the leader in Manufacturing Planning Software), and held VP, Divisional President, and General Management positions in computer graphics, information appliance, and information services businesses.